Rosie Klich is Professor of Theatre and Director of Research at East 15 Acting School, University of Essex. Her research and performance practice investigates media, sound, and spectatorship, and she teaches in the areas of contemporary performance and producing. Judita Vivas is a Lithuanian-born, UK-based performer, physical theatre artist, teacher and founder of Foxtale. She is an Associate Artist of DUENDE, one-half of theatre duo Double Trouble, research collaborator on the Icarus Performance Project and holds a PhD from the University of Kent. For the past ten years, Judita has been involved in various contemporary performance projects, training and collaborating with international theatre practitioners and teaching physical theatre. Her creative work draws on real stories, mythologies, biographical and autobiographical narratives. Judita combines movement, experimentation with text, tangible materials and somatic sensitivity. The resulting performances are physically and visually dynamic, and often involve making a lot of artistic mess. Performers Foxtale Ensemble with Daisy Orton. 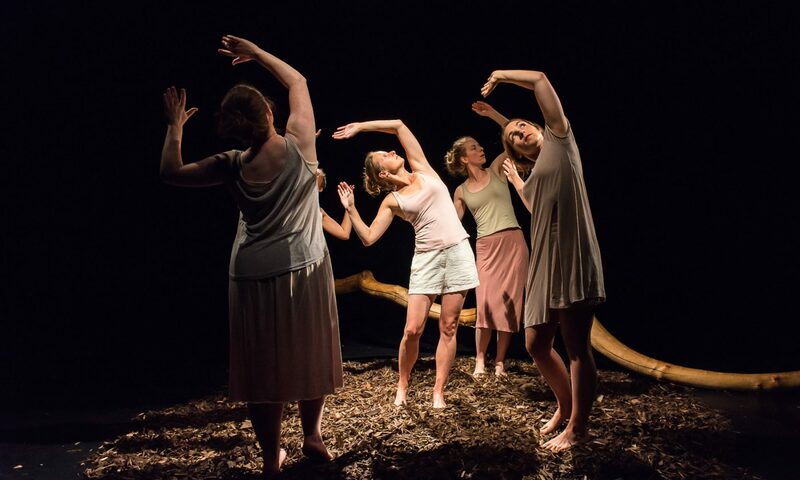 Foxtale Ensemble is an international female theatre company run by five devising performers: Judita Vivas (Lithuania), Lucy White (UK), Hannah Newman (UK), Emilia Oldani (Norway) and Elena Skreka (Greece). Their shared methods of training stem from Grotowski, Decroux, Viewpoints and the company’s connection to DUENDE, paying special attention to physical and vocal imagination, performer’s presence and ensemble listening. Foxtale compose their performances like artworks by piecing together visceral images, texts and stories, with feminist undertones subtly embedded within. They believe in creating for the sheer joy of it, and the work always balances on the edge of the strange, the messy, the absurd and the chaotic. Most recently, Foxtale performed their show Mr Jordan’s Funeral: In Absence of His Memory at Brighton Fringe and Camden Fringe Festivals 2016. Daisy Orton is a freelance performer, theatre maker and producer and one half of theatre company Accidental Collective. She has also collaborated with a variety of theatre-makers, produced Pot Luck (a peripetetic performance-sharing platform) and taught contemporary theatre practice at the University of Kent. Stacie Lee Bennett is a dance artist, film maker and PhD researcher exploring digital technologies and performing arts education. Her creative work explores identity, proximity and the subtleties of the camera lens as a choreographic tool. Stacie explores the use of digital tools, specifically video and post-production techniques as a way to deepen artistic reflection and critical investigation in performance. Her role in this project was to capture and hone scenes developed by Rosie and the team during the R&D of the live Daphne show and re-present them specifically for screen. At times the lens became a Daphne in its own right, however it was increasingly apparent that the somewhat intrusive presence of the camera lens had a tendency to feel more like an Apollo. Eoin Furbank is a lighting designer, sound designer and technical manager who has worked with companies such as the RSC and Kneehigh at theatres such as the Theatre Royal Haymarket, Little Angel, The Kings Head and the Old Red Lion. He has produced site-responsive installations for SHUNT, Future Sonic and Transmediale Festival amongst others and he is the co-artistic director of the theatre company .Dash. Eoin trained in Fine Art at the Arts Institute at Bournemouth and his lighting design was shortlisted for an Offie in 2011. Before developing her interest in performance photography, Nina Carrington began in architectural and property photography. Her photographs documenting La Maison Forestière Wilfred Owen, Simon Patterson’s 2011 work commemorating the poet Wilfred Owen, will appear in the forthcoming book by Sally Minogue and Andrew Palmer, The Remembered Dead: Poetry, Memory and the First World War (Cambridge University Press, 2018). As well as property, commercial and private work, Nina has also undertaken performance photography commissions, most recently Adventures in Black and White, by Double Trouble (Judita Vivas and Miriam Gould). On this project Nina’s photography attempts to capture the sculptural quality of the performer’s bodies-in-movement, connecting with imagery from Daphne’s long history of artistic representation. She worked with the performers in rehearsal to draw out moments that showcase the complexity of Daphne’s character and predicament.